Said to be universally applicable across the aerospace, mechanical engineering and mould and die sectors, DMG Mori has released its DMU 340 Gantry machining centre. The machine has a one-piece, thermo-symmetrical EN-GJS-600 cast-iron machine bed accommodating a working volume of 3400 x 2800 x 1250 mm, which is expandable to 6000 mm in the X axis and 1500 mm in Z. Linear drives in the X and Y axes offer up to 0.5 G acceleration and (optionally) 90 m/min rapid traverse rates. 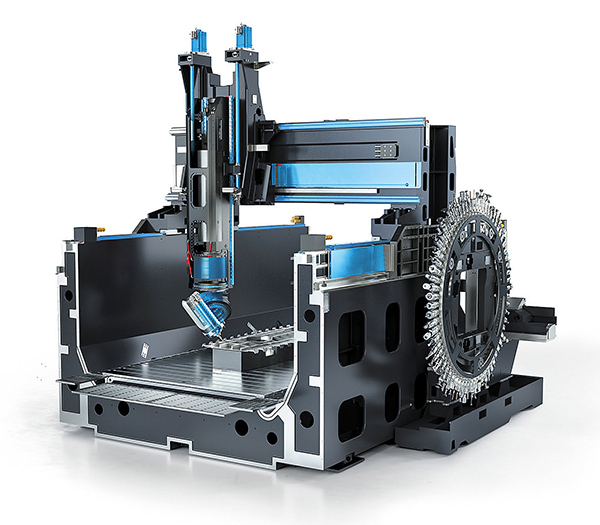 The drives combine with a ram featuring an integrated, direct-drive C axis, as well as a B-axis milling head with direct drive and 50° swivel, to provide a fully interpolative five-axis machining platform for producing large, complex components. According to DMG Mori, the machine achieves surfaces finishes down to Ra 0.3 µm. The standard machine version with 4400 x 2700 mm table accommodates workpieces weighing up to 10,000 kg, although the maximum load can be trebled on request. A range of HSK-A63 and HSK-A100 motor spindles, manufactured in-house, is available rated up to 30,000 rpm (or 79 kW or 430 Nm). The SK40-SpeedMaster with 15,000 rpm and 130 Nm is standard. There is space for 30 tools in the chain magazine, although an optional wheel magazine can accommodate 63 tools, extendable up to 183 pockets. DMG Mori deploys its CELOS app-based control and operating interface to a Siemens or Heidenhain CNC system. An Industry 4.0-ready interface, which is compatible with ERP systems and can be linked to CADCAM applications, integrates the machine into a customer’s production environment. Riverside, a healthcare packaging specialist, is targeting up to 40 additional jobs and looking to more than quadruple sales of its ‘shawpak’ thermoforming machinery as the medical sector strives for more cost effective packaging solutions. The company has invested nearly £100,000 in developing a turnkey solution for the Quaser vertical machining centre, which utilises novel spindle technology, the latest Heidenhain controls, a newly developed grease replenishing system and two touch probe measuring systems from Blum-Novotest. 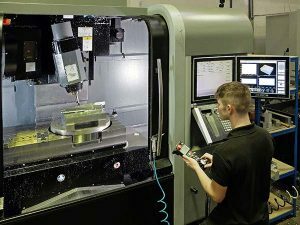 Oxfordshire-based Renault Sport Formula One Team has taken delivery of a Mikron HPM 800U five-axis machining centre from GF Machining Solutions. Since installation, the HPM 800U has been put to work machining a diverse range of parts, including a number of gearbox inserts made from titanium. Apart from some wire EDM profiling operations, which take up to 12 hours to complete, the inserts are five-axis machined entirely on the HPM 800U. 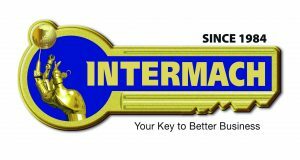 Material removal rates are high (over 85% of the titanium is removed during roughing and finishing operations), and the inserts are machined to a high accuracy and require an excellent surface finish. “Despite such demands, our HPM 800U machines have not been found wanting and are among the most accurate, dynamic and reliable machining centres we have in our facility,” says machine shop manager Raphael Willie. “A few years ago we made a strategic decision to increase our five-axis milling capabilities and selected GF Machining Solutions as the technical partner to help us achieve our objectives,” he adds. “The partnership means that we are able to acquire the latest Mikron five-axis machines at highly competitive rates, and have direct access to GF Machining Solutions’ technical and applications expertise. A portal, five-axis milling machine has been introduced by German machine-tool manufacturer Zimmermann at the lower end of its price range. 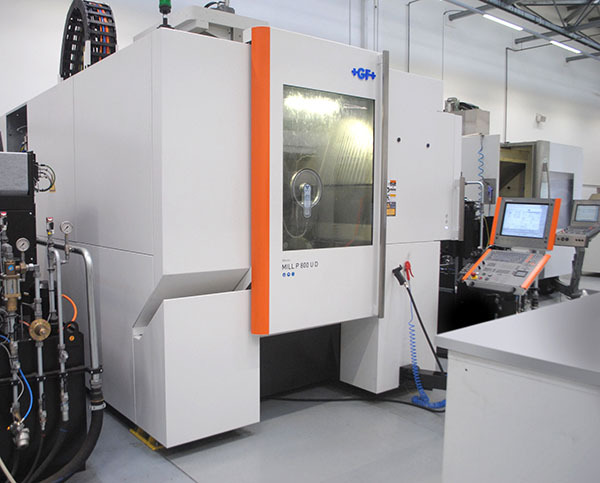 Available in the UK and Ireland through Geo Kingsbury Machine Tools, the compact FZU is intended primarily for prototype, tool and mould making, as well as machining composite components such as airframes. Of thermo-symmetrical and stable design, the machine is suitable for manufacturing workpieces from aluminium, plastics and model board. 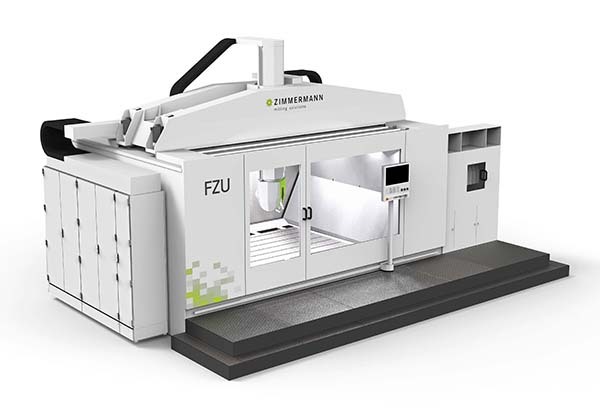 Unlike other machines in the Zimmermann range, the FZU is shipped in one piece so does not need to be assembled at the customer’s premises. The working volume is available from a choice of X-axis travels of 2000, 4000 or 6000 mm, a 3000 mm Y axis, and either 1250 or 1500 mm movement in Z. Acceleration is 3 m/s2 to the maximum 60 m/min feed rate. Table loads of up to 10 tonnes can be accommodated. The fourth and fifth CNC axes are provided by the newly developed VH10 spindle head, now the smallest in the manufacturer’s range. Of slender design, it provides minimal interference contours and high clamping force for stable milling. A HSK-A63 spindle is standard, delivering 34 kW of power and 39 Nm of torque continuously, and offering a maximum speed of 24,000 rpm. The A axis swivels through 220°, while C-axis rotation is 300 or 360° for the smaller and larger Z-axis travels respectively. Resolution in both rotary axes is 0.0001°. Control is provided by either a Heidenhain TNC 640 or Siemens Sinumerik 840D sl. Other options include spindle probing, tool measuring, and capacity for 40 or 60 tools in the magazine instead of the standard 20 tools. A seventh five-axis machining centre has been installed at Preston-based, tier-two aerospace subcontractor, TGM, primarily to cope with increasing volumes of Airbus A350 work. Two years ago, each month the firm was delivering four port and starboard aircraft wing sets comprising 20 parts each, whereas today 10 sets per month are required and the number will climb further over the next two years. The latest addition to the firm’s five-axis capacity is a Hurco VMX42SRTi, which has conversational programming capability built into its WinMax control system. 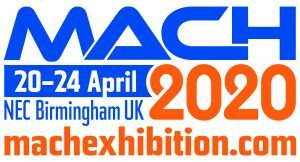 TGM director Sarah Stephens says: “We already had eight three-axis Hurco machining centres on-site, including one with an add-on rotary axis, so were familiar with the manufacturer’s twin-screen, menu-driven control system and graphical user interface. “Our operators have always found it to be user friendly for shop-floor programming, and on the latest machine only the fifth B-axis that swivels the spindle head is different, so adaptation was easy,” she adds. “The skill sets were already in place to create five-axis cycles involving the positioning of both rotary axes.